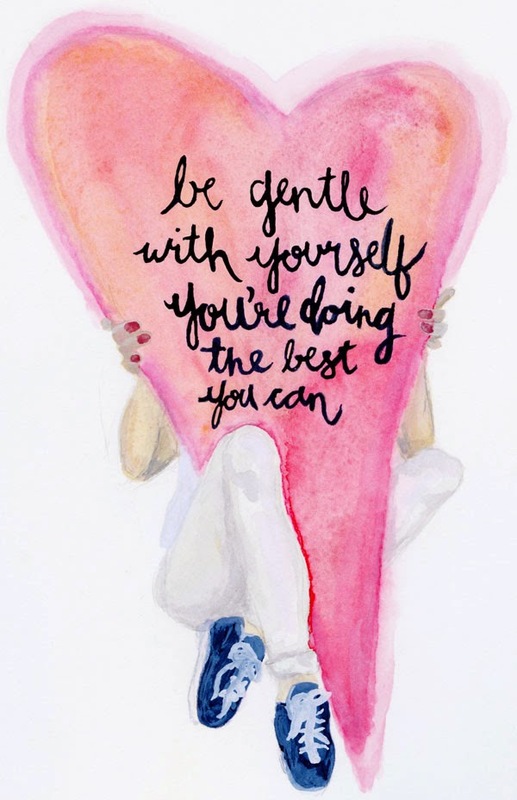 Be Gentle With Yourself. <br />You're Doing the Best You Can. This is a major problem for me. There's a saying - "You are your worst critic." - and that is oh so true when it comes to how I deal with myself and my accomplishments and failures. I am beyond harsh on myself. Every failure is the end of the world, and every success isn't nearly good as it could have been. I require perfection from myself, and it often leaves me drained and hesitant to put myself out there in any capacity. So here's what I propose: let's do it together. Let's be gentler with ourselves, realize that we're doing as well as we can, and respect ourselves enough to realize how awesome we actually are. We can do that, right?